That's right, DeWalt MAX owners no longer have to feel left out at bring-your-cordless-tool-radio-to-work-day. 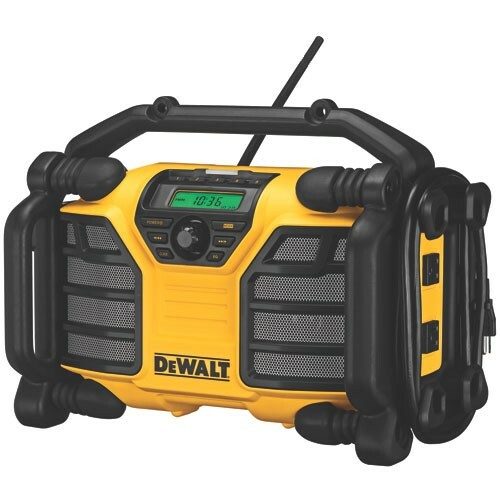 In fact, DeWalt continues to one-up their competition by including a battery charger in their radios. 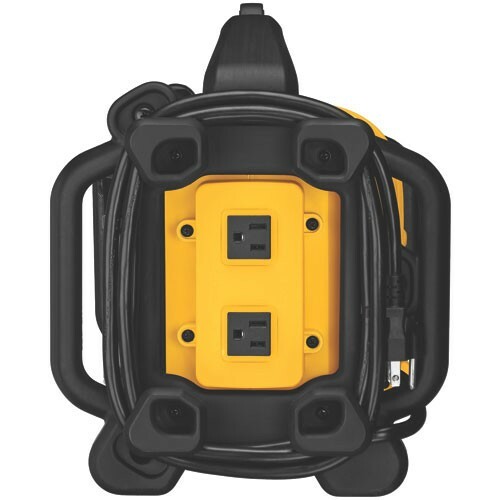 The DCR015 has the capability to charge both DeWalt 12V and 20V Max batteries while it is plugged into an AC power source. You can go cordless with the radio too because it can also be run off of both sized batteries. It has all the standard features like presets, AM/FM, a clock, but it also has a built-in power strip, powered USB port, enclosed MP3 player compartment, and even a pretty beefy looking 360-degree roll cage. It is almost like a smaller version of the older Bosch 360 radio. The DeWalt DCR015 does seem a bit bigger than what the competition is offering, but it does charge batteries—so there. The unit also includes woofers and tweeters and a class D amplifier to make sure they cover the full range. 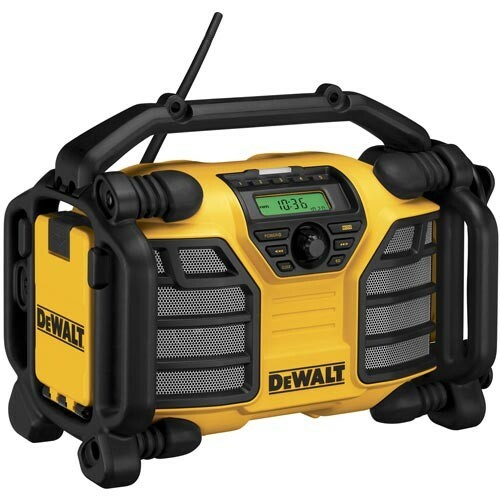 Our friend Rob over at A Concord Carpenter is giving away a DeWalt DCR015 Charger/Radio. Head over and enter to win and tell him that Tool-Rank sent you.